To ensure adequate retention, it is important for you to know the sapwood and heartwood content of your poles, especially if you treat eucalyptus. This can be done by using a heartwood indicator. Over-treatment is an unnecessary expense and under-treatment could result in your poles being rejected by your customer. This advice is particularly pertinent for clients in Tanzania, where TANESCO (the Tanzania Electric Supply Company) uses hand-held XRF spectrometers to test the CCA retention of its suppliers’ poles. Dolphin Bay is a supporter of the quality control measures that TANESCO has set in place, as ensuring the quality of treated poles is important to safeguard the industry and to protect its sustainability. The challenge is that the XRF instruments use pre-selected densities and, as we know, timber densities vary depending on the area where the wood was harvested. It is this variation that has often resulted in the use of average densities. It is important to acknowledge that this is an area that will need continued research. As timber densities change over time, so too must the calculations change. 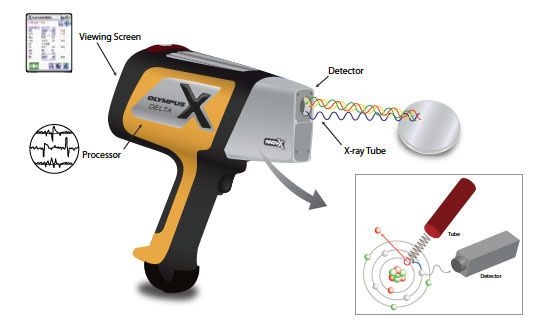 The way the XRF instrument works is that it measures the presence of the active elements, and the mass or percentage of these, present in a timber sample. This reading allows for the subsequent analysis of retention levels. However, the mass or percentage reading is not, on its own, sufficient enough as you need to compensate for density. This is because a denser pole needs a higher concentration of actives than a less dense one, in order to meet the preservative specification. Testing the density of your poles, along with accurate record-keeping, will enable you to vouch for their quality. Treaters should repeat these investigations to build a database for the information needed. Dolphin Bay has produced a Technical Note explaining the ins and outs of XRF programming and its effects relating to timber densities, in detail. “The relatively painless step of determining density as required will be an enormous benefit for treaters in ensuring that they can produce quality poles, and justifying this quality,” concludes Bertus.